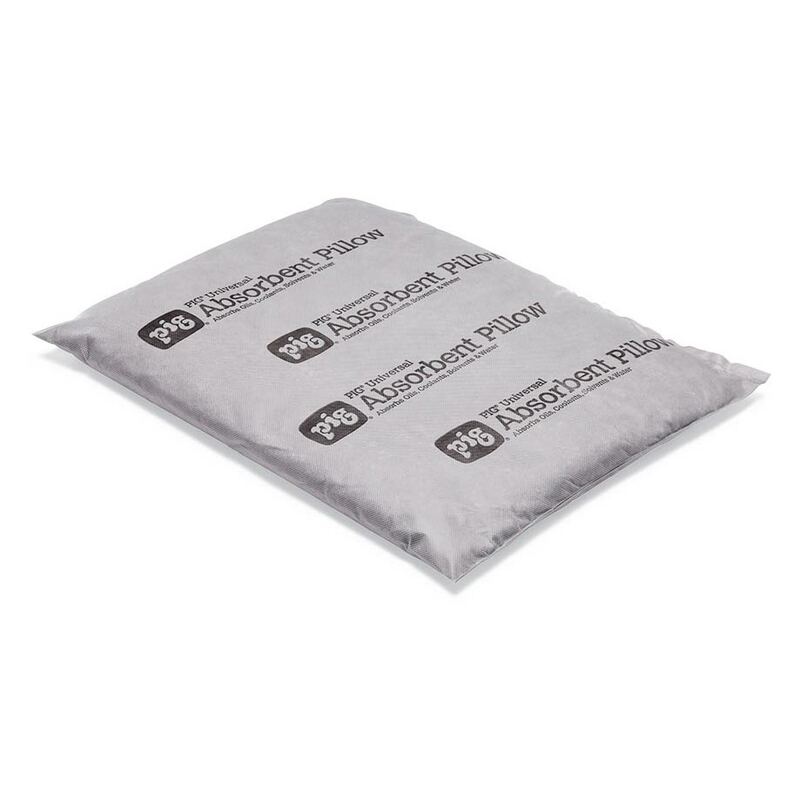 Take control of your biggest spills and non-stop leaks with absorbent pillows. Our range of high-capacity spill pillows deliver the absorbency you need when the job demands more than a mat. Our Universal Spill Pillows will soak up the most common industrial liquids, such as oils, water, solvents and coolants – however it is not recommended for acids, bases or other corrosive liquids. Oil Absorbent Pillows are ideal when you only want to absorb oil spills. Or choose Hazardous Absorbent Pillows for use with chemicals. 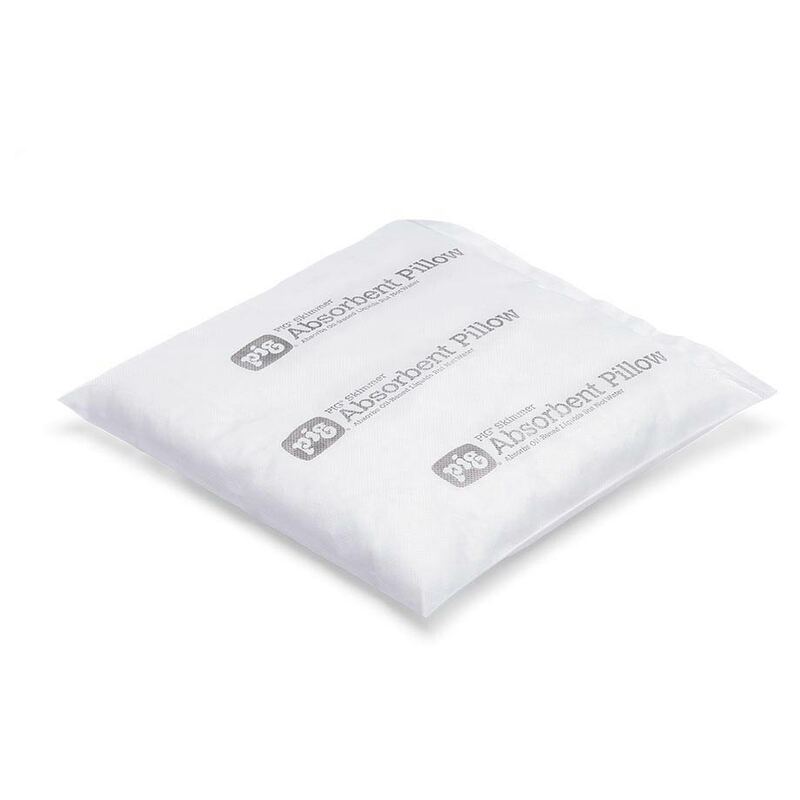 Absorbent pillows have a large surface area, high capacity and fast-wicking filler to soak up larger volumes of liquid. This means you can rely on them to keep large volume spills and constant leaks under control – both inside and outdoors. Our Universal, Hazardous and Oil Absorbent Pillows come in a range of sizes for different liquid volumes. Their compact design is great for catching non-stop drips and leaks in tight spaces, or to add absorbency for spill response. Which is better – absorbent pillows or mats? It depends on your application. Just like mats, spill pillows are made to soak up a range of liquids – the difference is how much they can absorb. Spill Pillows absorb at a high capacity which makes them great for large volume spills and constant leaks. They can also be used to add high-capacity absorbency to your spill response. How durable are absorbent pillows? Absorbent pillows are made from a polypropylene skin to resist tearing, even when saturated, meaning they will hold in the liquid in demanding environments. What types of liquids can spill pillows absorb? We offer three main types of spill absorbent pillow: Universal Spill Pillow, Oil Absorbent Pillow and Hazardous Absorbent Pillow. The Universal Spill Pillows will soak up the most common industrial liquids, such as oils, water, solvents and coolants – however it is not recommended for acids, bases or other corrosive liquids. Oil Absorbent Pillows are ideal when you only want to absorb oil spills. Or choose Hazardous Absorbent Pillows to absorb acids, bases, corrosives, water, oil, coolant, solvents and unknown liquids. As with all our absorbent products, spill pillows are colour coded to ensure you grab the right product in an emergency. 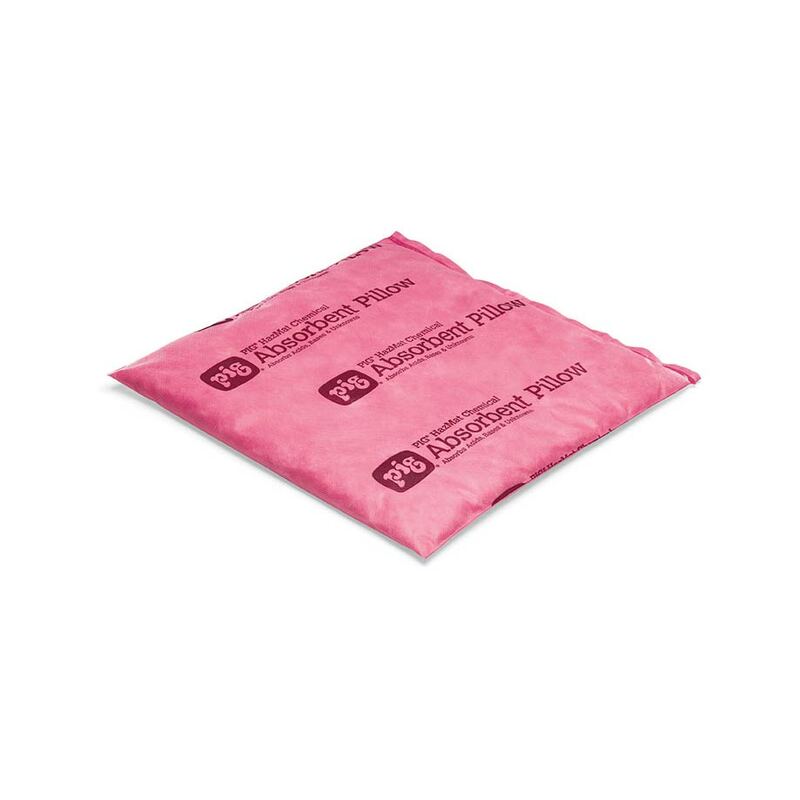 At iQSafety, we’re proud to offer the highest quality absorbent pillows to businesses around the country. Wherever you’re based - including Melbourne, Sydney, Canberra, Brisbane, Darwin, Perth, Adelaide, Hobart and everywhere in-between - we’re confident we have the spill kits and absorbent products to ensure you’re prepared for any situation.